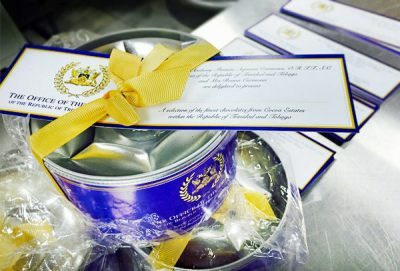 The T&T Fine Cocoa Company are exceedingly proud that His Excellency Anthony Carmona, The President of Trinidad & Tobago, took a set of our chocolate tins to give out on a State Visit to the US this month. Trinidad & Tobago cocoa has an international reputation for being of the finest quality. 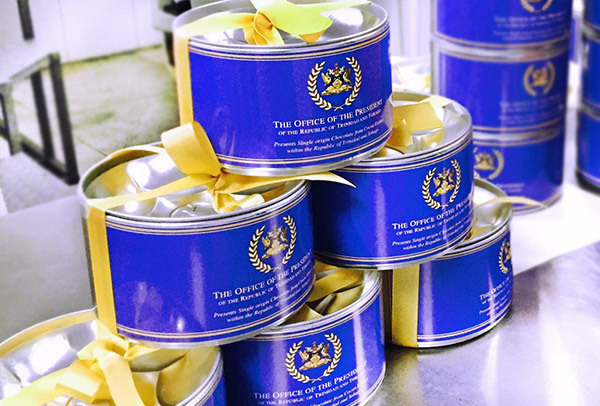 Thanks to our new processing facility, we can now show it at its very best. Reminds me of ‘Pan is beautiful Too”….wonderful fruity notes and floral tones in our Trini-tario cocoa beans! Extraordinary!